As you can see, I have a lot of training. I’m trying to figure out a way to publish my training calendar to the this site so if anyone is interested, they can follow along and keep me accountable. And I’ll go ahead and tell you that I’m going to miss some of the training. When it comes to swim training, it will be hit and miss since we don’t have a reliable option for a pool in Searcy. Although I have a good friend that is training with me that said I could use his pool any time I wanted. So, I may take him up on that. And when you have to Bike and Run in the same day, or Swim and Run, it becomes difficult to find the time. But I plan on doing my best. And I certainly don’t mind people saying, “Hey, Dusty…you have missed the last few workouts. You need to step it up.” So, I’m giving you permission to crack the whip. I’ll also try to be a bit better at updating the blog. If nothing else, it provides a little more accountability if I know I have to write something every so often. And if there is anyone in the Central Arkansas area that wants to “tri” it with me (couldn’t resist), let me know. I’d love to have a couple more training partners. And if you want more info on the triathlon in question, check out the website by clicking here. 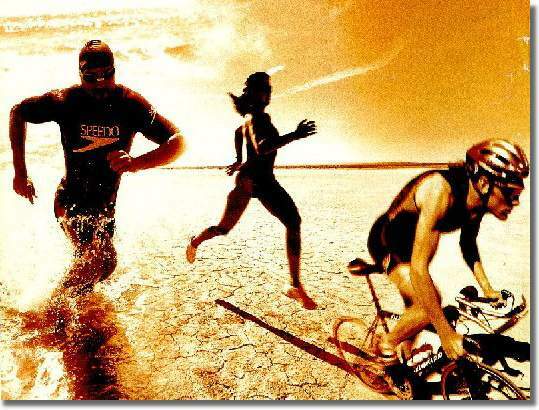 They are doing an Olympic and Sprint triathlon (swim, bike, run), Aquabike (swim and bike), and Duathlon (run, bike, run) at the same time. The events are always a ton of fun. All you gotta do is train (optional 😉 ) and then show up and tri!